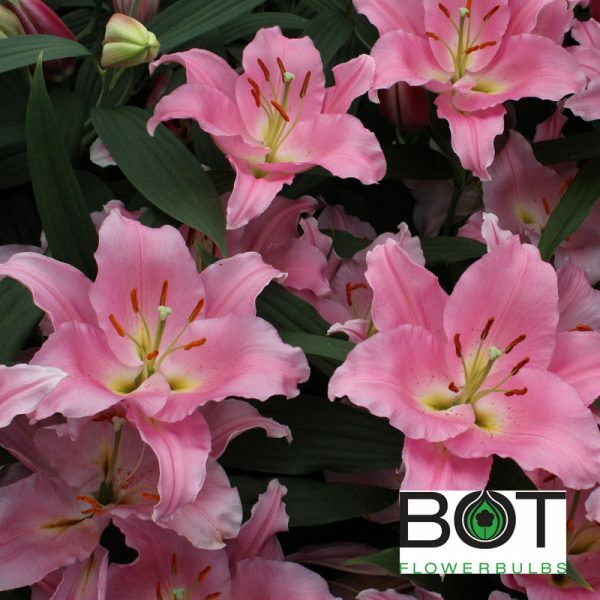 15 bulbs will produce 15 stems with 3-6 blooms on each stem. 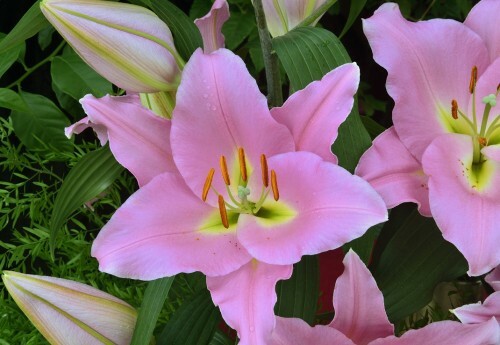 Treelily Ovada is a fragrant oriental lily that blooms July into August. 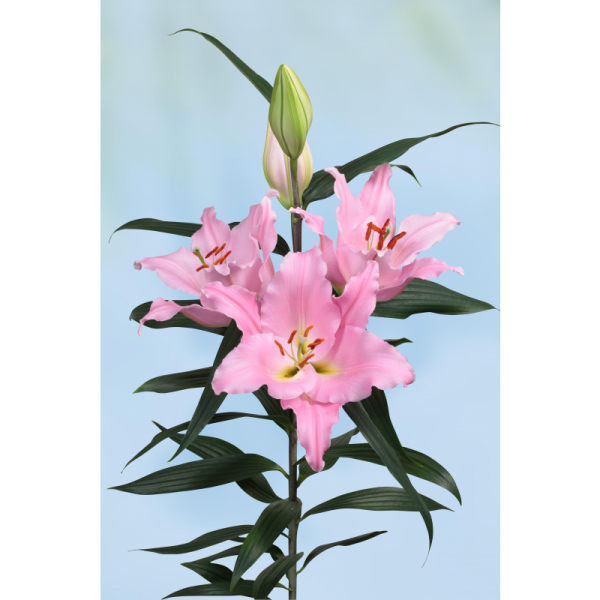 It’s a soft pink lily that can reach a mature height of 8 feet. It makes a great backdrop for the back of your garden.